Life has been very busy, so two weeks rolled into one again. Tapering into the then upcoming Wilmslow Half Marathon, I wanted to reduce volume whilst hanging on to some intensity. I cheated once more by catching the Metro after work to the my old stomping ground of the Jewellery Quarter, allowing for around 7 miles with me easing myself in for a single mile at marathon pace and then a mile at half marathon pace. In hindsight, I tapered too much going into the Wilmslow Half Marathon. Aside from the race, this particular run was just one of two for the week from a norm of six out of seven days. I wrote about my glutes feeling like they were distinctly missing during the race and this hard taper was part of the reason. My body likes to run frequently, so I’m going to adopt more a little-but-often approach ahead of the Wythall Hollywood 10k. The warmth of the previous day’s race had two effects on me. The first, it conditioned me to run at effort in warm conditions. The second, it prevented me from going all out; whilst I was tired and felt like I’d worked, I didn’t feel nearly as battered or bruised like I’ve done in previous eyeballs out races. Trotting easily for this recovery run, my heart rate was a good 2-3% lower than what I would have expected normally, let alone the day after a race. Even whilst recovering, my lungs felt supercharged from the Wilmslow Half Marathon. Oh, and guess who’s glutes finally decided to show up? With the heat sticking around, I upped my hydration game throughout the day and even took a bottle of electrolytes out with me. Slow and steady was the order of the evening, so as not to overly tax my body. I continuously searched inside for feedback, namely for an idea of how far to run. The last couple of weeks of racing and tapering for some events more than others had left me wanting for an injection of training normalcy. 9 miles became 10, then ultimately 11 feeling really good. 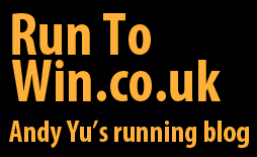 I have just two more 10k races coming up before a long 6 week block of training ahead of the Lake Vyrnwy Half Marathon. Speaking of which, if any of you listen to the Running Commentary podcast, it was my suggestion of Lake Vyrnwy that convinced Paul Tonkinson and Rob Deering to seek the race out. As performing comedians, they found the prospect of a 13:00 start incredibly inviting! Leaving the city centre, I was puzzled initially at why the congestion was so awful and how I was able to overtake so much stationary traffic. It wasn’t until I neared the Belgrave Interchange that I realised Edgbaston Cricket Ground was hosting a match. Spectators heading to the venue increasingly lined the pavement, forcing me to frequently run wide or sometimes run on the road. Thankfully, traffic was gridlocked, so I only had to glance behind me on occasion for cyclists, with none appearing. To run faster, you must run faster. Whereas my marathon and half marathon performances have come on leaps and bounds in the past two years, my 5k has remained stagnant. My 10k ability is now closer aligned with my half marathon, so I think it’s about to turn a corner for something sizeable at the Wythall Hollywood 10k or Magor 10k. But what to do with my 5k? 800m reps just don’t feel like they’re cutting the mustard like they used to, so I decided to give 400m reps a shot. The purpose of interval training is to allow exposure to a challenging pace in smaller bursts, which otherwise would be difficult if not impossible to sustain as one continuously paced run. Rep 9 was hampered by thick tree cover overhead upon finishing, falsely slowing it down – it was bang on target until then. I surprisingly found 400m intervals to be more beneficial for my needs than my former go-to of 800m intervals. In spite of finding my feet for the early reps, I locked in on target pace and I was able to hold it for the remainder of the session. I also identified my form adjusting to eke out every last ounce of speed from available resources, which should trickle down to slower paces becoming more efficient over time. A few more of these sessions and maybe, just maybe, I can reverse the 5k stagnation trend. Ironically and if not for the numbers at Cannon Hill, the 3x lap course is actually pretty fast due to the clockwise direction it follows. Runners gain more on the short descent and they lose less on the long and gradual climb up to the bandstand. Whereas my lungs continued to feel strong, my legs had clearly not recovered from the session two days prior. Whilst I had the strength to hold steady, I struggled to move into a higher gear, and nor did I want to bury myself in the pursuit. I spent much of the first two laps with Dave, with him creeping away at some point after 4km, thanks to his recent 5k focus giving him an edge; he finished in 19:03 and me in 19:08. It’s likely there’ll be further disruption at Cannon Hill due to various events over the summer, so expect some tourism from me in the not too distant future. Whilst I had plans to get up early and avoid the heat, I ended up turning my alarm off and sleeping through… Whilst it was indeed warm outside, I was cruising on the training effects of the Wilmslow Half Marathon and recent runs in the warmth. Early on into the run, I happened upon a £5 note on the floor to perk me up nicely! Just in case you’re not warm enough already, I witnessed a pair of runners – could have been father and daughter, or coach and student – running in long sleeves and tights. Yes, you read that right. I felt delirious just watching them!